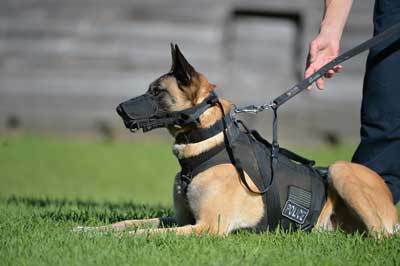 K9 Storm Muzzles are designed to be used in situations where the working dog is with other operational personnel in confined areas such as airships, armored personnel vehicles, or entry team stacks. Maintain full muzzle control and full K9 apprehension capabilities with the close quarters attack muzzle. Purchase either our classic K9 Storm Soft Muzzle or K9 Storm Close Quarters Attack Muzzle. The CQAM allows your dog to break free from the muzzle in an instant when operational demands change.